"The cover goes on really easily. It took me a little while to get the hang of it. The zip could be longer to get the cover on but apart from that it’s perfect." "It’s really handy having an extra cover for the pillow, especially when baby has an accident. It means I can have one at hand whilst the other is in the wash."
"Pop 1 cover off & put another one on. These Donut Nursing Pillow covers mean you won't have to spend a day without your pillow. Score." 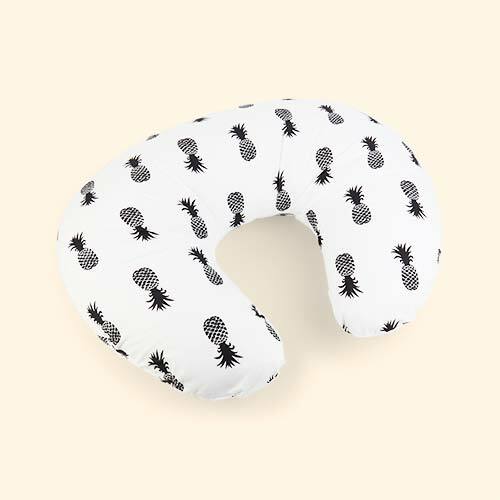 Whether you use your Widgey Feeding Nursing Pillow for getting comfy with a bump, or for nursing your little one when they arrive, these covers are a must. In a cool pattern, this cover easily slides onto your pillow meaning you'll never have to be without it while the other cover is in the wash. It's something you definitely need in your life.